A fun way to indulge in sweetness at a discounted price! These beauties were a hit at the Queens Chocolate Fest - now here's a chance to get your very own! Our delicious macaron soap is the perfect soap for the Spring holidays - and will look great as Easter decor! 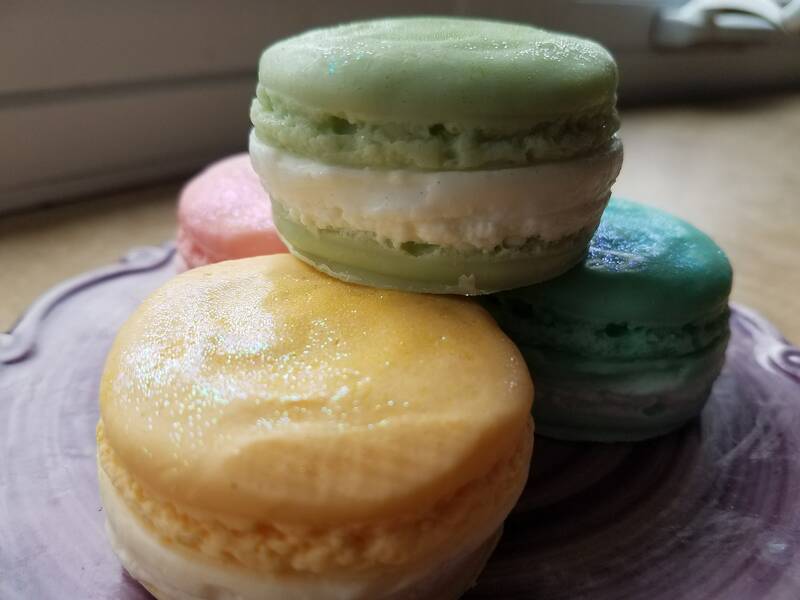 You'll receive 1 beautiful Macaron soap with this listing - we'll pick a beautiful Spring shade that's lightly dusted with glitter. Scented with our Pistachio Macaroon fragrance oil. We always combine shipping on multiple purchases, so this is a great opportunity to stock up for those Easter baskets.